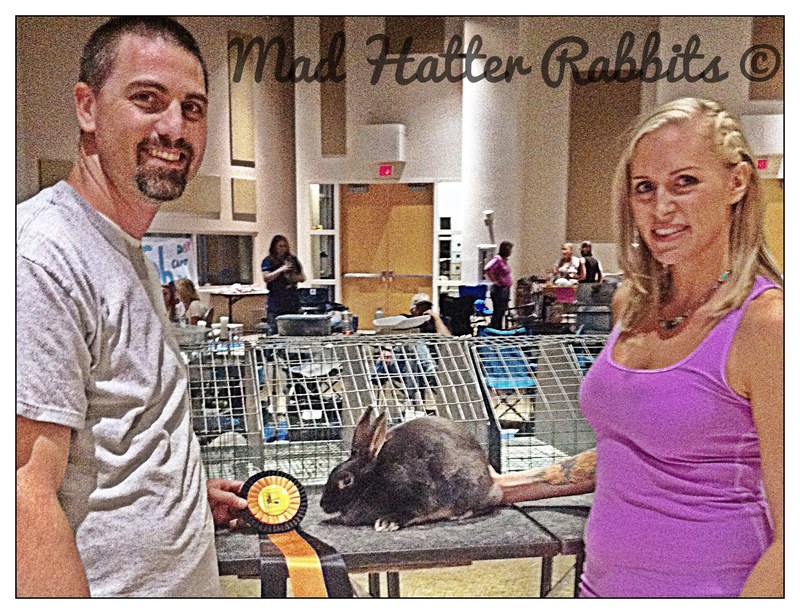 We’ve had our most exciting show experience yet – our 6/8 blue otter Satin doe won Best in Show yesterday! For those of you who couldn’t care less about show adventures, the Best in Show happens when all of the rabbits who have been judged as best against their own breed (apples to apples) are placed in one last show and compete against one another for top honors (apples to oranges). We had been talking about whether we should stay for the Best in Show and strongly considered leaving. But something made us stick around and… woo-hoo! It was worth it! Beretta, our blue otter Satin doe, won Best in Show! What a great day! Can’t wait to see how Beretta continues to stack up in the future!